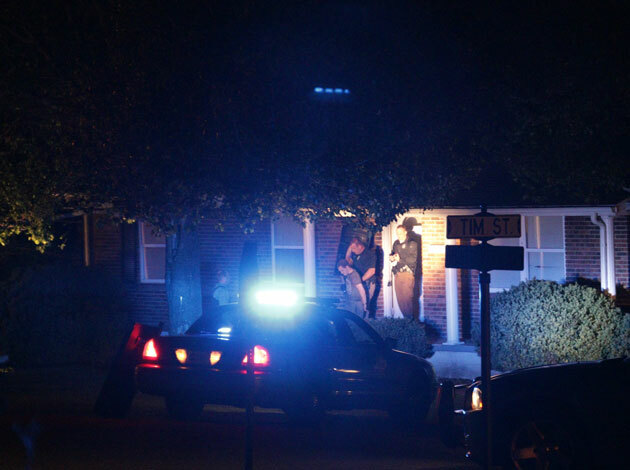 Kentucky State Police, The Adair County Sheriff’s Office and Columbia City Police officers surrounded a house on Montgomery Street Tuesday evening after learning that a shooting suspect was in the house. Police secured the area for more than three hours until forcing entry around 10:30 p.m. after obtaining a search warrant for the premises. William Matheis, 18, of Guston, was found hiding in the attic and taken into custody. Matheis is accused of being involved in an armed robbery and shooting in Meade County on April 12. He is facing charges of robbery 1st degree and assault 1st degree. He was believed to be in this area with a juvenile girlfriend. William Matheis was arrested in Columbia Tuesday night.